Meet Surface 3, designed to be incredibly portable while still running full desktop software. Surface 3 is available with optional LTE mobile data so you can stay connected anywhere you need to work. 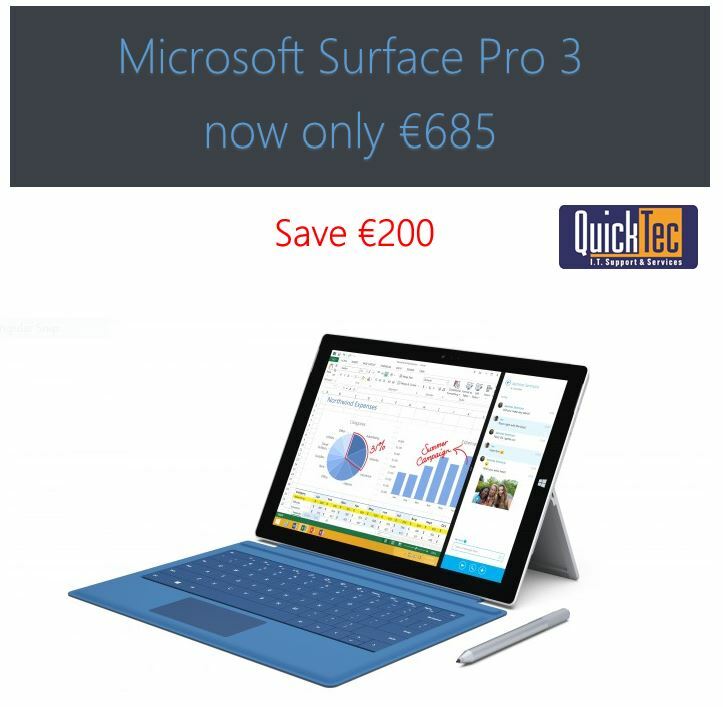 With the Kickstand, optional click-in keyboard, and multiple ports (including full-size USB 3.0, Mini DisplayPort and microSD card reader), Surface Pro 3 delivers the power, portability and productivity you need. (Type Cover and Surface Pen sold separately). A responsive, bright touchscreen, stereo speakers with Dolby® audio and two 1080p cameras. Make video conferencing or watching films better than ever.